I cannot claim to celebrate Valentine’s Day but I rather fancy the colour combination you often see at Valentine’s: white, red, black and maybe a light blue. 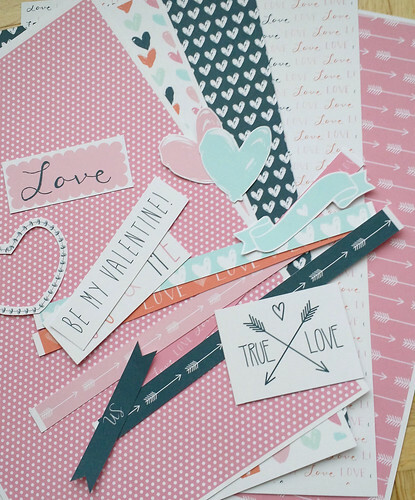 So when I saw the new free digital papers from Sizzix I forgot my reservations towards Valentine’s and printed up a few of the papers as well as the matching decorations. The papers come as pdf files and are easy to just print and use so this proved an easy project as well. I chose the pink paper with the small white dots for the background of my card and then I decided to tone it down a little by adding a layer of vellum on top. The vellum also gave me a reason to add a few select confetti pieces that will move around when the card is moved. I fuzzy cut the heart shaped wreath out and then added a small piece of patterned paper behind it. 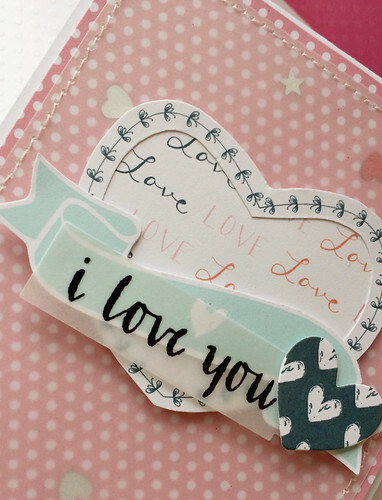 The banner is also fuzzy but whereas the small heart and the tag for the sentiment where cut using two different Sizzix dies. 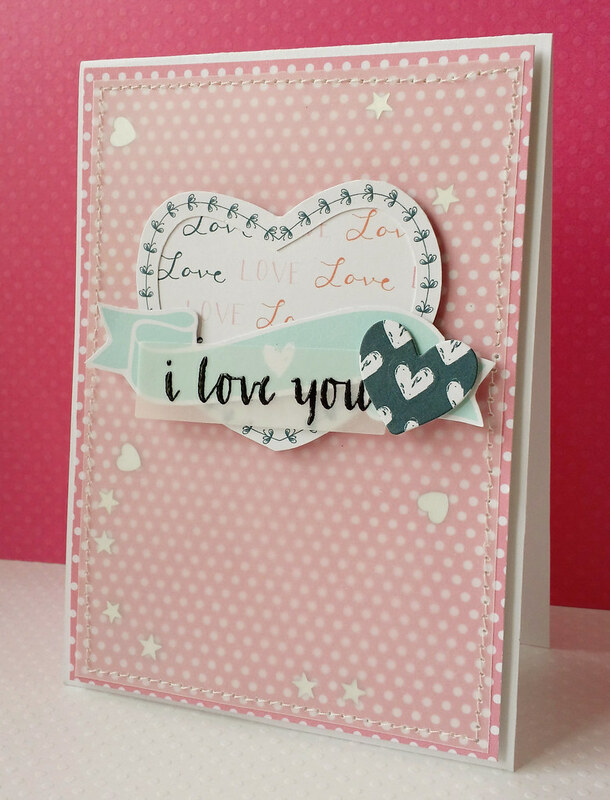 The sentiment is by Simon Says Stamp and I heat embossed it using a black embossing powder from Wow. I prefer to heat embossed when stamping on vellum because it will take forever to dry otherwise. And I guess I am not patient enough to wait forever. 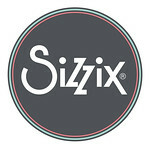 If you have yet to download these free papers I suggest you go straight to Sizzix’ website and do so. Just in time for Valentine’s (or actually you could easily use the papers for non-Valentine cards / layouts as well). 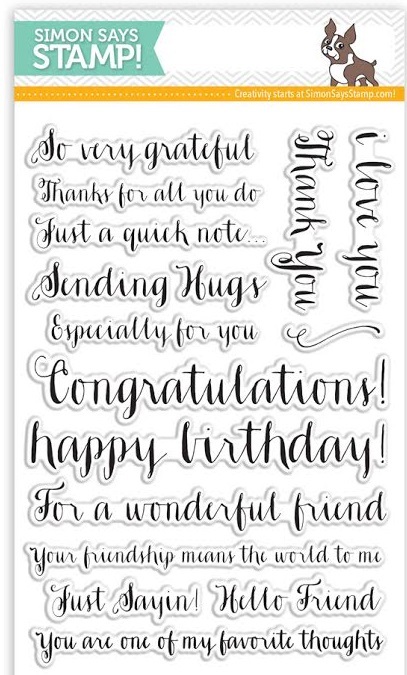 This entry was posted in Ubesluttet and tagged embossing, kort, Sizzix, SSS. Bookmark the permalink. Skønne kort og tak for linket til de downloads.